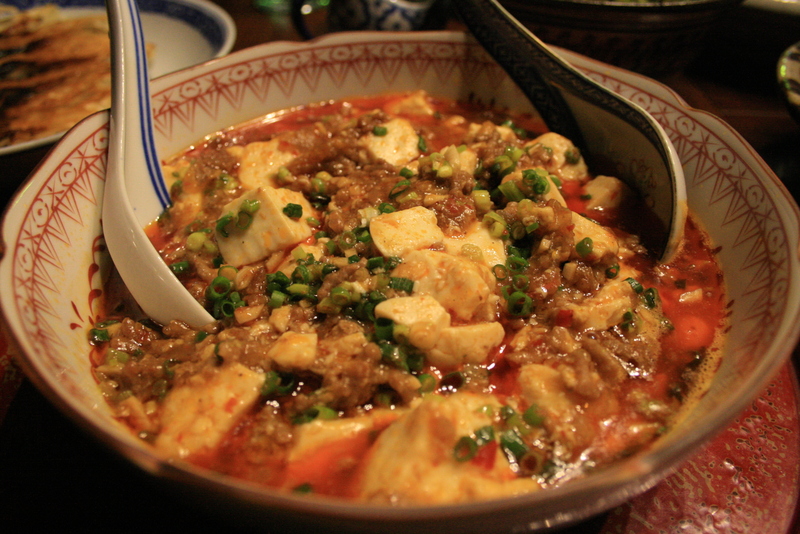 The best mapo tofu I’ve had was probably the one I had at a Sichuan restaurant in Shanghai. It was very different from any other mapo tofu I’ve had (and much spicier! ), and intensely flavorful. Mapo tofu has become a staple in Japanese homes and is a very popular dish. You can even buy instant mapo tofu that you just heat up in the microwave. Japanese style mapo tofu is pretty different from the authentic version, but like a lot of dishes, instead of butchering the original, us Japanese have managed to recreate the original and actually make it really good. I love Japanese style mapo tofu but often add a bit of Sichuan peppercorns to my mum’s recipe to add some kick. Like most of my recipes, this is approximate- I never measure things out, so please be flexible and season to taste. 1. Saute the garlic and ginger in some oil until fragrant. 2. Add the tobanjan (it will splatter) and coat the garlic and ginger (be careful not to burn). 3. Add the minced pork and use a wooden spatula to separate the pieces. Stir well until cooked through most of the way. 4. Pour the stock over it and bring it to a boil. Season with soy sauce and pepper. Add the sichuan peppercorns. 5. After you season it to taste, add the tofu and cook through. 6. Add some potato starch slurry a little bit at a time and stir the tofu carefully so you don’t break them apart so much. 7.When you have reached the right consistency (not too thick but not soupy), add the scallion and finish with a bit of sesame oil. Definitely making this, nevermind my soy allergy!